Adopting keyword and user intent research techniques as part of your customer marketing strategy allows you to reach and delight new customers during the earliest phases of their journey, increasing the likelihood that they’ll remain customers, purchase additional products, and advocate for your brand. In the enablement phase, new customers are learning how to implement purchased products and use them to their full potential. SEO can help you exceed expectations in this phase by providing insight into the questions customers have post-sale. Moz Keyword Explorer – Enter your brand/product name into Moz Keyword Explorer to get up to 1,000 suggestions for branded keywords. Then, filter results to display keyword suggestions that “are questions.” Pull only post-sale keyword queries that are related to using your product/service, rather than pre-sale questions that are related to making a purchase decision. BloomBerry – Type your brand/product name into BloomBerry to see a long list of related questions that have been asked on sites like Quora, Amazon, and other internet forums. 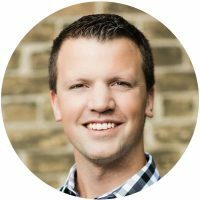 Again, look for post-sale questions that users are asking online about how to perform certain functions with your product—or even with a competitor’s product. 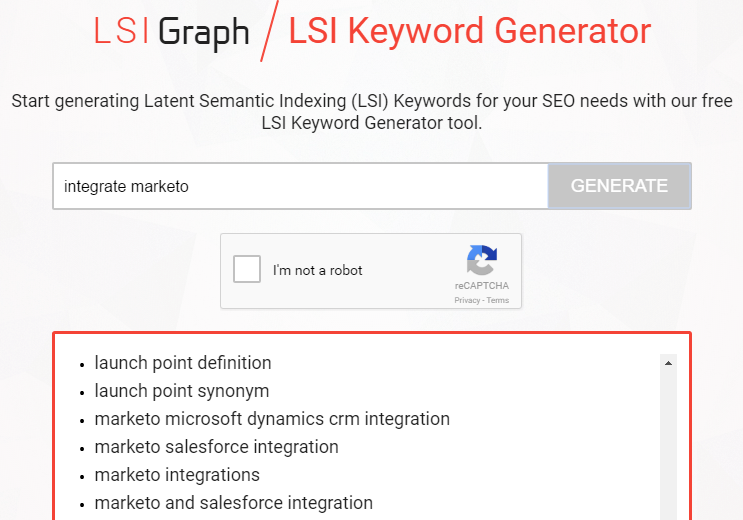 These three tools would help Marketo marketers discover that users are searching for documentation on integrating with other third-party tools. Additionally, they know which specific tools users want to integrate with: Salesforce and Microsoft Dynamics. This provides the information needed to create and publish detailed guides on integrating with these platforms. The content can also be converted to PDF format for use in offline customer service interactions. Sales and customer service team members who field customer questions over the phone can simply email customers detailed PDF instructions. In the adoption and retention phase, companies focus on highlighting the value their products/services provide in order to drive increased usage. User intent research—uncovering exactly what users are looking for when using specific search queries—can help in this stage by highlighting the specific features purchasers are interested in using. The same keyword research tools mentioned before can be used in this phase, but this time you’re looking for pre-sale—rather than post-sale—terms. An analytics software provider, for example, might conduct keyword research for “analytics reports” and find the related keyword “analytics for social media.” That keyword may have multiple user intents: to purchase analytics software that provides social media tracking, or to learn how to use existing analytics software to track interactions on social channels. To determine which intents apply, you have to conduct user intent research. Enter relevant search terms into Google and view page-one results to identify what, specifically, your audience is looking for. 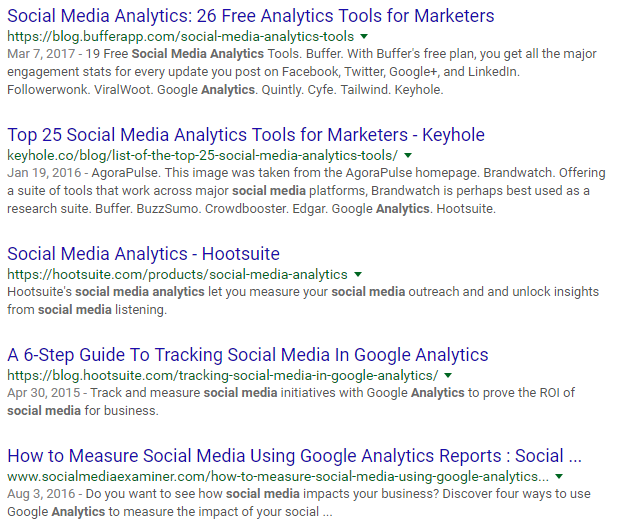 Searching for “analytics for social media” populates some product comparisons and lists, but it also populates results detailing how to track social media analytics using Google Analytics. This shows that users may be looking to purchase an analytics product, but they may also be looking for ways to utilize their existing analytics software to track social media metrics. An analytics platform provider, then, may be able to increase adoption and retention by publishing how-to guides, videos, and other content detailing how to use his platform to track social media interactions. With user intent research, you can determine exactly what customers are trying to do with your product. Then, you can produce content that helps them utilize your platform to meet their goals. This delights customers and encourages retention, enhancing the likelihood of conversions for cross-sell opportunities once customers reach the growth phase. Keyword and user intent research are powerful tools in the inbound marketer’s toolkit, but they’re also powerful for delighting and retaining existing customers. Keyword and user intent research help determine what customers are looking for and trying to do—both before and after the sale—you can answer customers’ questions before they have to ask them, teaching them how to get the most value out of their purchases. This builds the relationships required to turn customers into repeat buyers and brand advocates. Get started by discovering the questions customers are asking after purchase. Then, create content that answers those questions to increase the likelihood of success, satisfaction, and future sales.